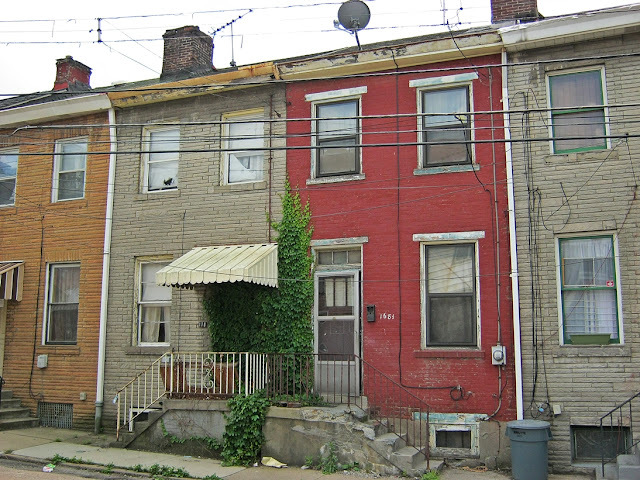 May demolition postings for the City of Pittsburgh listed two historic row houses in Lawrenceville: 168 1/2 and 170 38th Street. These homes are located within the original Lawrenceville village plan, between 38th and 41st streets. 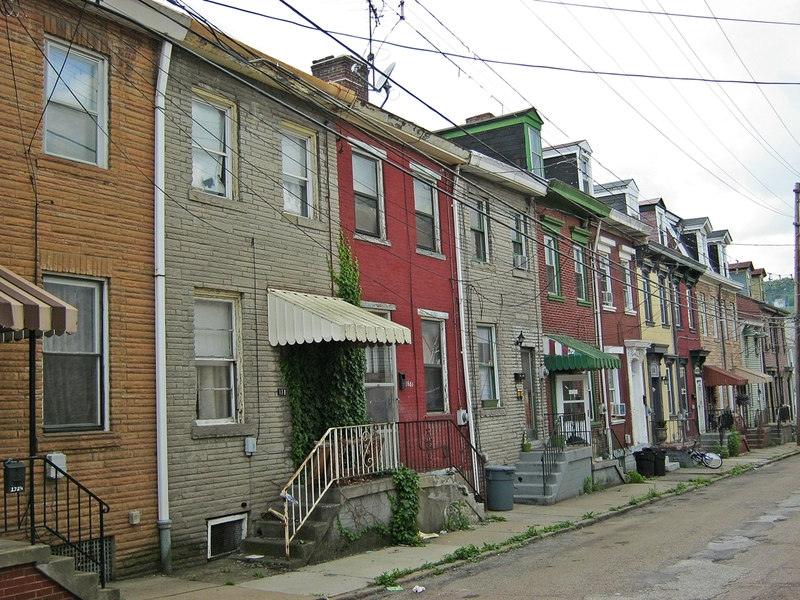 This is where some of the oldest surviving houses in Pittsburgh are located. 168 1/2 and 170 38th Street may date to the 1850s. Perhaps the original village plan area of Lawrenceville should be nominated as a City of Pittsburgh historic district. This might help protect homes like this from being demolished in the future. Sadly, these houses were demolished by the City of Pittsburgh in June, 2012. When will the city stop putting historically significant buildings on their demolition lists, and instead market them to potential buyers and rehabbers? In an up-and-coming neighborhood like Lawrenceville, it probably would have found a buyer quite easily.